Woodford Park Leisure Centre is well known for being home to one of the best badminton facilities in Berkshire. Our five court Sports Hall is complete with high quality lighting and a sprung wooden floor and is regularly used for county and club matches as well as for a wide range of badminton opportunities organised by the centre. Our courts are also available for casual use and can be booked over the phone up to a week in advance from 10:00am. Tel: 0118 9216969. 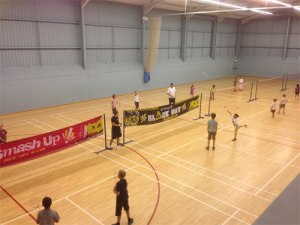 Woodford Park Leisure Centre is home to three No Strings Badminton sessions every week. These casually run sessions are perfect for all abilities and aim to combine the social element of badminton with some basic coaching, and have always proven popular here at the centre. In fact, our Friday night session has previously been nominated as the best in England and numbers continue to grow! No booking in advance or playing partner required, just turn-up, pay on the day and join in! 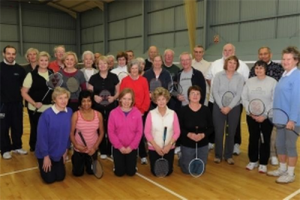 Our over 50’s Afternoon Club has been running for over 15 years and offers our customers a choice or combination of badminton and table tennis all for a set charge. The club is perfect for those looking to continue or become more physically active in a highly sociable and friendly environment. To top it all off, we provide tea and coffee along with a small selection of biscuits in our viewing gallery after every session at no extra cost. 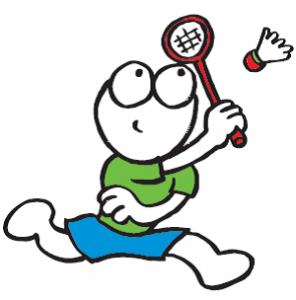 Our increasingly popular Junior Badminton Club is the perfect first step into badminton. Our resident level 2 badminton coach coordinates these exciting weekly sessions and ensures that all newcomers and regulars are made welcome. 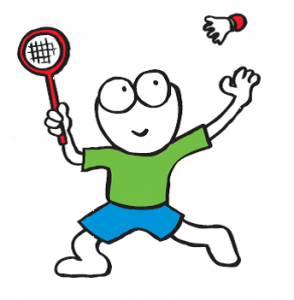 The sessions aim to help introduce and develop the basic skills of badminton in a fun and friendly atmosphere that guarantees a smashing time!